#33. E.C. 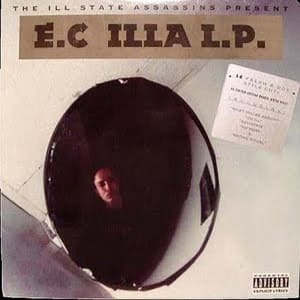 Illa "On Ill"
The North Pole's Ill State Assassin was one of the Chi's first hip-hop acts to get exposure on a national level, all while staying independent—and being white. E.C. 's 1995 opus, Illa LP, showcased traditional boom-bap rap with a Chicago twist. The video for "On Ill," which was a mainstay on BET's Rap City and The Box, exposed the world to Chicago's underground hip-hop scene, featuring local graf writers, B-boys, and MCs getting busy. This self-produced track is a testament to why E.C. should be held as a pioneer of Chicago hip-hop.